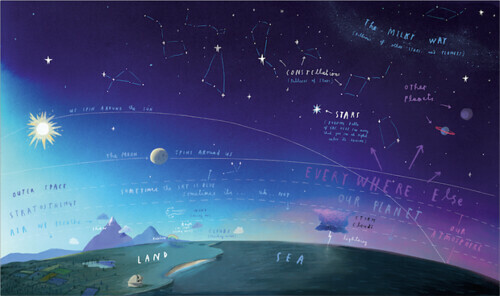 Here We Are, by Oliver Jeffers – the picture book he wrote and illustrated as an introduction to the world we live in, when his son was born a couple of years ago – is truly inspiring. I sort of wish I’d thought to do something of the kind, if only I could draw pictures the way Oliver can. He has long been among my favourite illustrators, and this book proves how good he is. Starting with Ursas Major and Minor, and moving on to our solar system, and then Earth, Oliver moves ‘down a level’ for each page spread. Our planet is dry and wet, hot, cold, flat, sharp, and so on. Fish and treasure in the sea in one direction, and breathable air, the stratosthingy and outer space in the opposite direction. Then there’s people, all different, but all the same, too. We should look after our bodies as not all parts grow back if detached. Animals; quite a few kinds of them. Day and night, taking it easy and being busy. And to remember to ask Oliver any questions (although that might only be an invitation to Master Jeffers, and not all of us), and if he’s not here, there are quite a few others on Earth. I’d really have liked having this book to hand 25 years ago. Life can be so abstract and hard to explain, when there isn’t as much shared language as you tend to have later. Not every country has an astronaut, so it was pretty exciting when we had Tim Peake up there in space. It almost feels like an age since he worked on the International Space Station, but it was only a year or so ago. Here is a picture reference book written by Clive Gifford for fairly young readers, showing what it was like for Major Tim. We ‘all’ knew about his tweeting and performing to the crowds when he was up there, but not everyone knows what else he did. Or, for that matter, what Tim had to do to get to the kind of situation where he was a contender to go into space in the first place. What work do you do, and how does one train for life in space? You learn Russian, as you will be working with people from Russia. You have Heston Blumenthal prepare key lime pie for you. You exercise. The photos all look jolly, but I’d take a wild guess and say that it was all hard work. And not entirely without its risks. This is the kind of book I know little boys will be pointed towards. 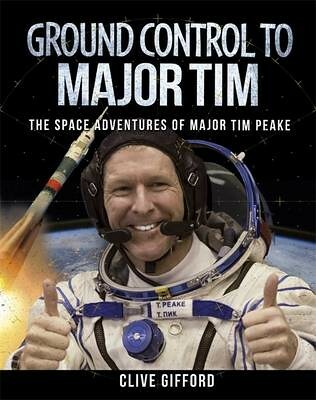 I’d like to feel that lots of girls will also read about Major Tim. I know I would have loved it as a child. Please do something to interest all children in space! 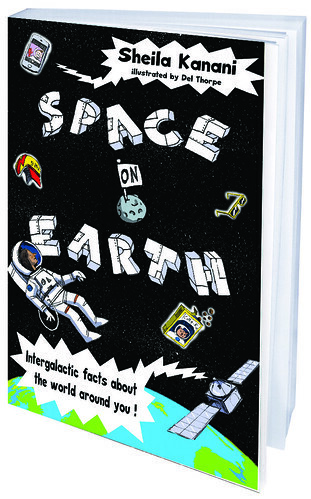 I said about Raman Prinja’s last book that it had everything you’d want on astronomy for children. 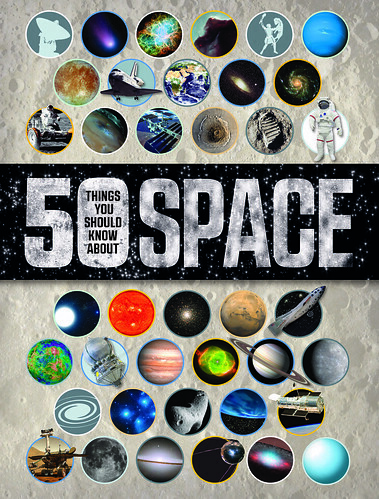 This was true, until I came upon his new book, 50 Things You Should Know About Space, which is wonderful and the kind of book every child should have. I believe this even if they’re not into space (how could anyone not be, though?). Yet. 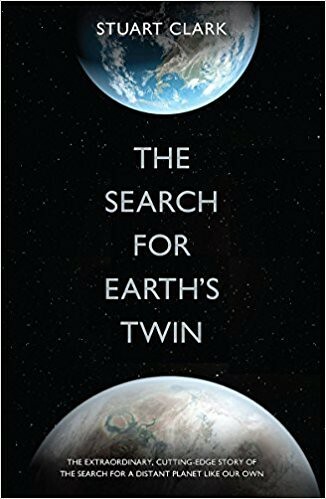 The Professor of Astrophysics has managed to fill this new book with what has been my life for years now; the Kepler telescope, Goldilocks, exoplanets, the Atacama desert, and so on. Beginning with some historical facts before moving on to our own Solar system, Raman looks at how to find new worlds, what to find them with, and how to land on a comet, which is the sort of thing that might come in handy one day. And there are new, even larger large telescopes on the horizon, that will see more and better than the ones used today. Apparently some of this is rocket science. So much for people who are always saying things are not. Some things simply have to be. I was so excited about this book that I was wondering who I could pass it on to once I was done with it. I’d like to inspire a small human to take an interest in this kind of thing. But then I thought, pass it on?